The Kitschy Chic of Space Age Aluminum Trees. 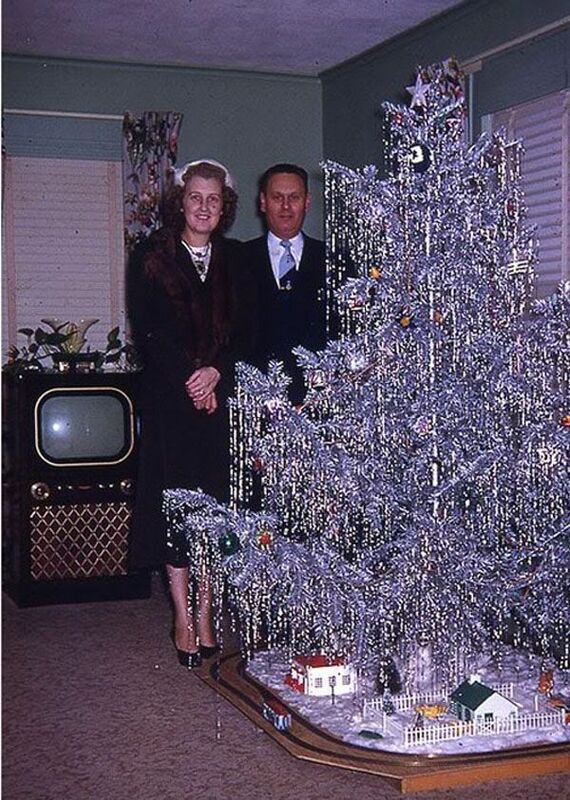 Every year Greg and I debate….should we get a real tree or put up our vintage aluminum tree? Of course nothing beats a real tree. The crisp, fresh pine smell is so wonderful. And having a real tree in your home is so special. But there is something undeniably magical about those old silver trees. 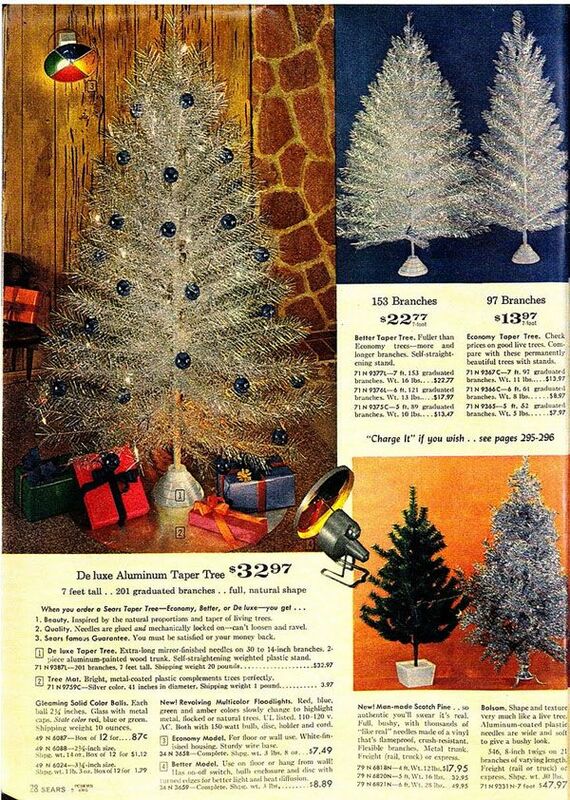 A product of the late 1950s, when “space age” was all the rage, aluminum trees were seen as an exciting, modern “permanent” interpretation of Christmas tree. 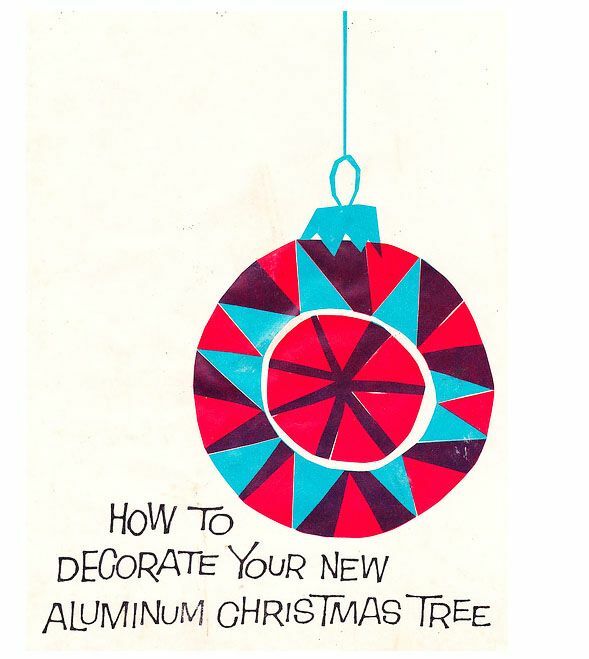 “Aluminum trees were first manufactured by the Aluminum Specialty Company in Manitowoc, Wis. It is estimated that this company made more than four million trees in a 10-year period. ”Shredded” aluminum strips were wrapped by hand around the wire branch and then fluffed to spread out the aluminum needles.” — Aluminum Association. 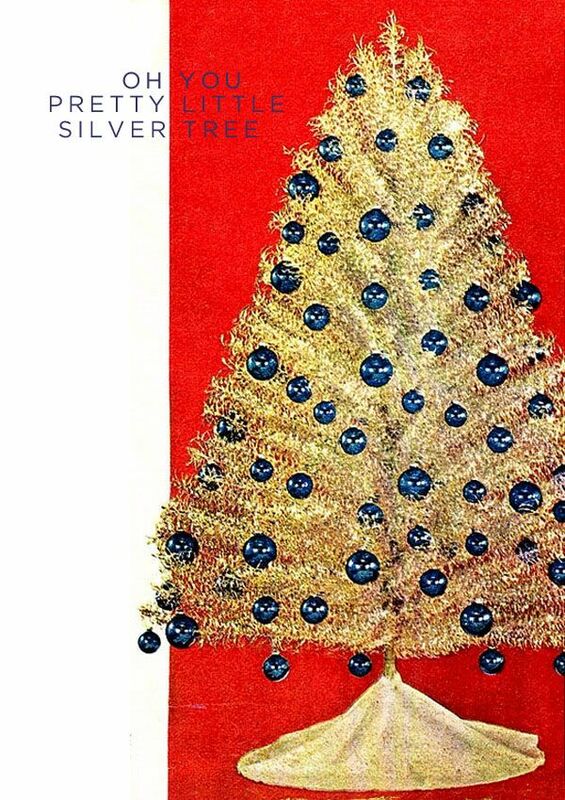 The story goes that back in December 1958, Tom Gannon, a sales manager for the Aluminum Specialty Company, was visiting Chicago when he noticed a unique looking, hand made silver tree as part of a holiday display in the store window. He was transfixed and actually brought this display tree back to his company. There, he had engineer Richard Thomsen lead the effort to produce a better, cheaper version for display at the American Toy Fair in March 1959. 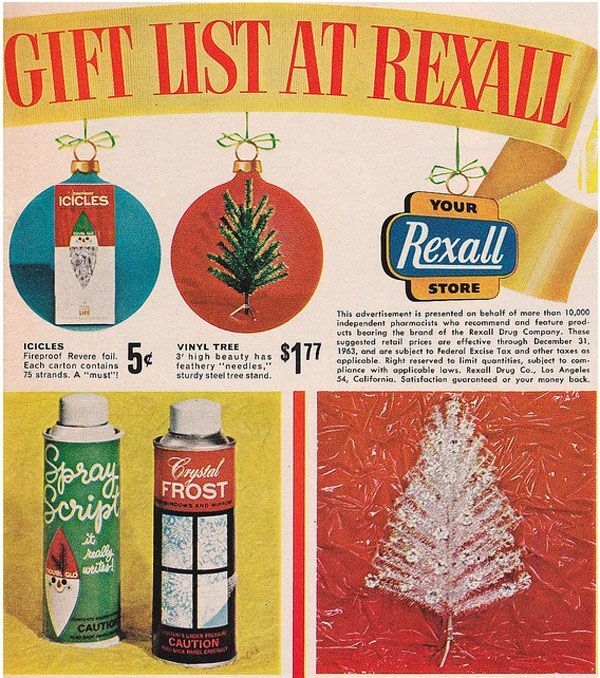 The trees were a smash and as a result, Specialty Aluminum took a gamble and produced hundreds of thousands of silvery trees just in time for the 1959 holidays. The rest, as they say, is history! 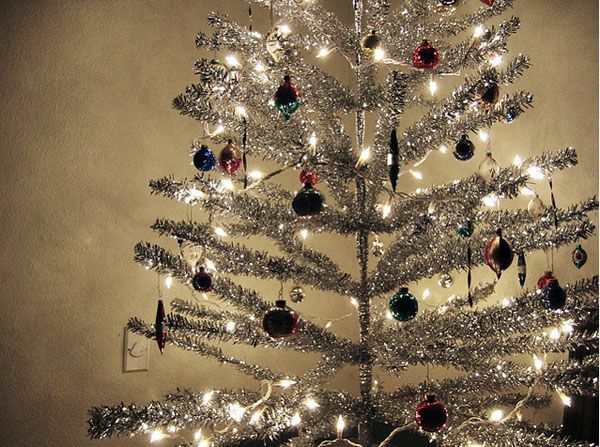 These sparkley silver trees were available in a wide range of sizes—as small as 8 inches all the way up to 7 footers. Some trees even had silver pom poms on the ends to give them a fuller look. 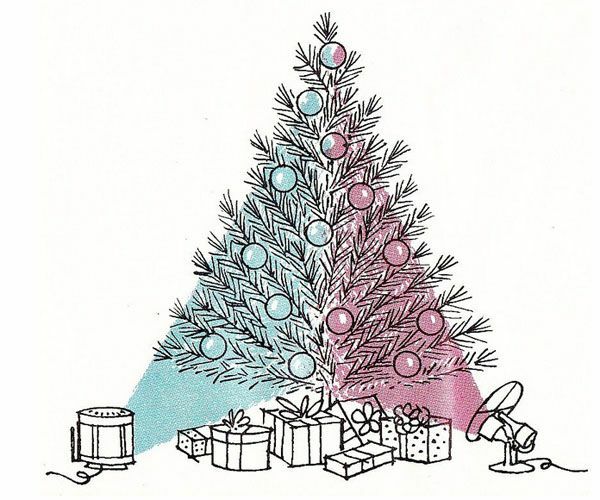 Because you didn’t want to risk electrical shock by putting Christmas lights on your aluminum tree, the color wheel spotlight was introduced. These groovy spotlights had a rotating four-color plastic wheel which projected a new color on the tree as it spun— from red to green to yellow to blue. So what’s the verdict folks? 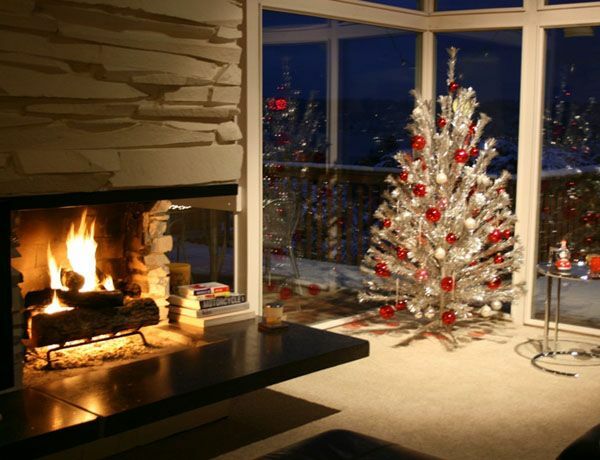 Would you ever have an artificial tree in your home? (Silver or otherwise?) Is it space age cool or ticky tacky?? 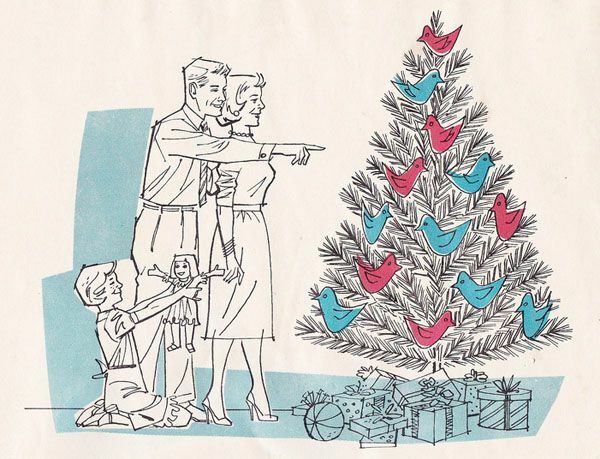 I still love ours….but I have to confess, nothing beats a “real” tree to me. 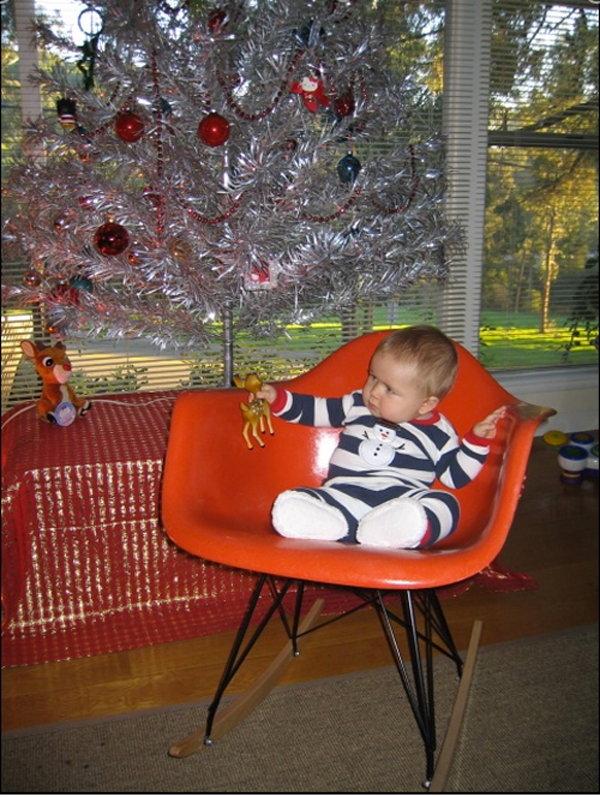 We always had an artificial tree growing up (long list of reasons from my mother, and she’s horrified that we’re getting a real one this year), but we didn’t have to make the decision in San Francisco–it was made for us when my work gave away 3-foot-tall aluminum trees for free! They’d been part of the holiday party decor. So I snagged one and she’s been a member of the family since. In SF, of course, she was our only tree–who has room for more than that?–but now she’s our front-window decoration, lighting up our dining room with silvery festiviity! Since we have a finished basement…I put the vintage aluminum downstairs and the real tree gets its place upstairs, I’m kind of glad I don’t have to choose because it would be REALLY hard for me to give one up. I love them both for different reasons! What a great idea! I love the idea of two Christmas trees! I just wish I had the space. Eric and I keep going back and forth on the real tree v. the silver one. I love the real tree, but for some reason, so do the ants! That is the toughest problem and we travel for the hoolidays, so the tree doesn’t get as much action as it possibly could. Ah well… I still want both! And there’s something to be said, FYI, about the real trees being more green. They’re farmed these days, which means they’re guaranteed to be replanted and replaced every year. They’re giving back to the atmosphere while they’re alive. They don’t create waste products while growing (like an artificial tree) and they don’t need to be packaged. And when they’re done, they just rot, instead of filling landfill. So I’d say a real tree is the eco-friendlier choice! aww cute widdle wolfie! i love aluminum trees but i have to say nothing beats a real tree! I’m in the artificial tree camp now…I love real trees but last year I came to the realization that I really loathe sweeping up the dang needles. So I decided to fully embrace the faux and get a REALLY fake tree, it’s bright white! And I’m pretty happy with my choice! it’s kind of retro and mod and I like it that way. Oooh i bet it looks really striking with bold ornaments! (I know you are a fellow color lover!) do you have any pix?? We are a real tree family through and through. As a kid we would go on hayrides to cut our own! But…I do love the look of the silver trees. And I always forget to water the real one, so that would be so much easier! I love real trees the best, even though the needles can def be a pain. I just love the smell so much! I love this post too! : ) We’ve had to store ours away for several years because our cats kept trying to eat it – totally fatal. 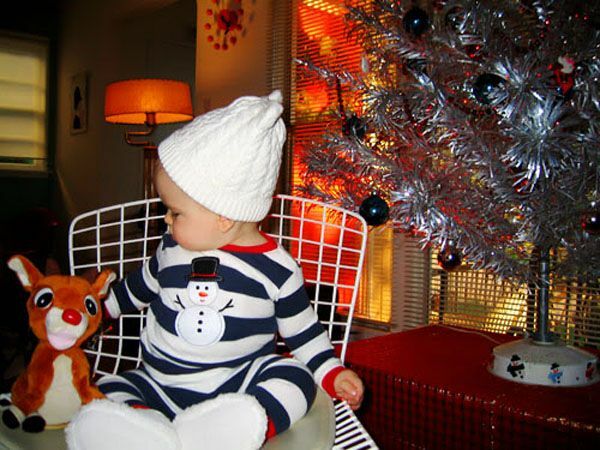 The white chair your cute baby was sitting on really brought back the memories. It was 1961 San Francisco and my preschool had these small chairs for us to sit on.